Amanda's favorite quick recipe - Energy Balls. Click here for the recipe. PhilosophyBeing healthy shouldn’t be stressful or confusing. Food and eating should be enjoyable! Slow cooker. Lifesaver on busy weeks! Amanda has always loved cooking and being her family’s permanent sous-chef in the kitchen growing up. However, it wasn’t until a family member’s health scare during high school, that she started making the link between health and food. Unwilling to give up her delicious family recipes, but concerned about her loved ones health lead Amanda to study nutrition. Then, while attending Tulane University and living in New Orleans, her true inner foodie developed. Nutrition counseling combines Amanda’s love of food and cooking with her passion for helping others in their pursuit of health and wellness. 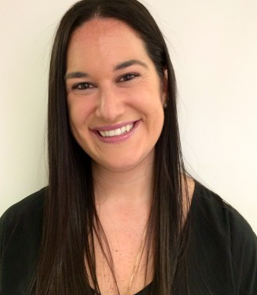 After graduating with a Masters in clinical nutrition at NYU and completing a dietetic internship at New York University Medical Center and Nutritious Life, Amanda began working as a clinical dietitian at NYUMC. Her experience includes counseling both children and adults with a variety of medical conditions including diabetes, epilepsy, cancer and heart disease. Amanda’s particular interest is in supporting children’s health, growth and nutrition. She believes eating well does not have to be difficult or stressful, even while living a busy NYC lifestyle. Amanda is a member of the American Dietetic Association, Greater New York Dietetic Association, Pediatric Nutrition dietetic practice group, and Oncology Nutrition dietetic practice group. She is a wannabe yogi, enjoys spinning to cheesy pop music, and can always be found with a snack in her purse. Working with Amanda has made such a tremendously positive impact on my relationship with food, my career, my confidence, and my life.